5 Easy Party Appetizers with Oscar Night Star Power! Ready for some red carpet and stardust? 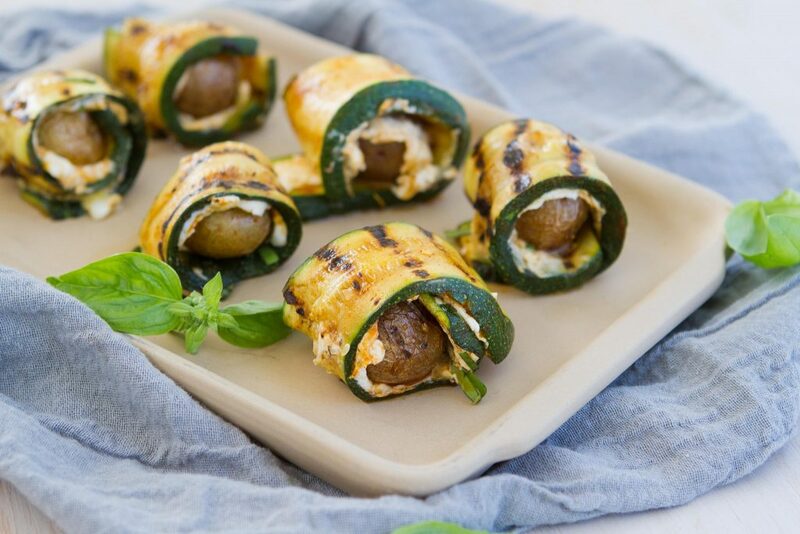 Try these easy party appetizers with Oscar night star power and delight your guests. Whether you’re dressed to the nines, hosting a casual gathering with friends or cozied onto the couch with the kids in your PJs, watching Hollywood’s Academy Awards glitterati and the red carpet hoopla is entertaining and festive. You’ll need some easy appetizers and great finger food, though, to keep the party going through all the fashion faux pas, teary acceptance speeches and blockbuster sweeps. Here are some ideas and tips on how to host a fabulous Oscar night. And the award for the best Oscar party appetizers goes to… you! Make it all well in advance so that you can enjoy your company and the show. You don’t want to be fiddling with preparations and last-minute cooking during prime time. Serve one main event, such as a hearty stew, then make the rest snacks. Put everything out on the table buffet-style for self-service. Choose colorful appetizers in playful formats with big visual appeal. If you like, this is an appropriate time to take advantage of paper plates, paper napkins and recyclable plastic-ware for no-muss clean-up. Find cheerful colors and designs. Make it simple, festive and easygoing! It’s about having a good time together, after all. 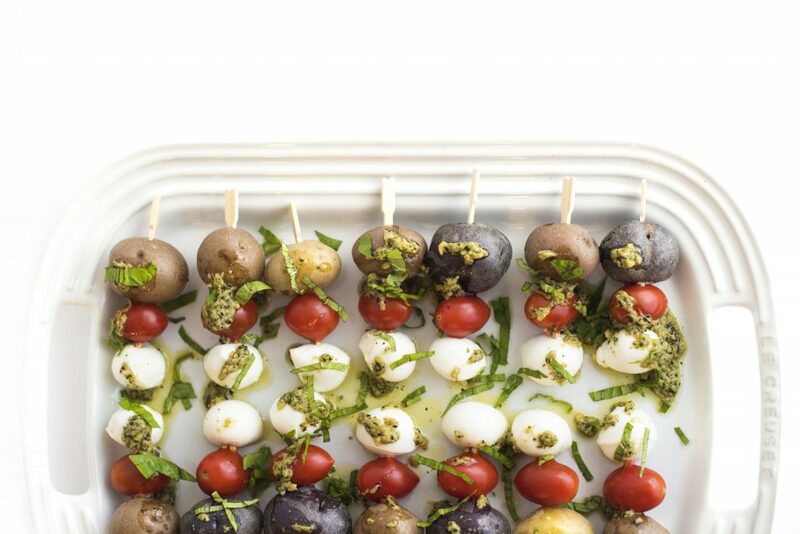 It’s hard to get more vibrant looking than Pesto Caprese Potato Skewers: tri-color kabobs mixing buttery Little Potatoes in red, yellow and blue (Terrific Trio) with mild fresh mozzarella balls and juicy red cherry tomatoes. They’re also quick and easy. Prepare in advance, then drizzle with green pesto and julienned fresh basil. Or to reduce drips, put out a side of Ranch or pesto for optional dipping. Unless you’re in L.A., chances are it’s chilly at your house in March. 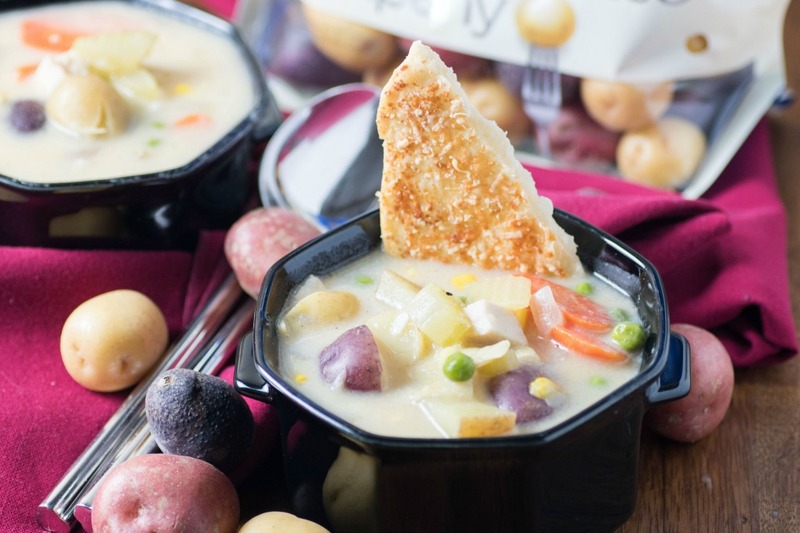 Serve steaming ceramic mugs of Chicken Pot Pie Soup to warm up guests. This classic is reimagined old-fashioned comfort food—fully loaded with chunks of carrots, celery and chicken, plus corn and Terrific Trio Creamers in a thick ‘n creamy base. Crispy outside, tender inside and laced with alluring East Asian spices, Vegan Vegetable Pakoras will wow the crowd. These Indian party favorites combine turmeric, coriander seeds and cumin with chickpea flour, lemon juice, garlic, onions, spinach and Creamers. Red chili flakes add zing. Prepare a batch the day before and chill, then briefly rewarm in the oven or microwave and serve hot with a creamy cilantro dipping sauce on the side. Pizza is a sure winner. And Pizza Smashed Little Potatoes? Even better. They’re healthier, just as tasty and easy to pop into your mouth one at a time. 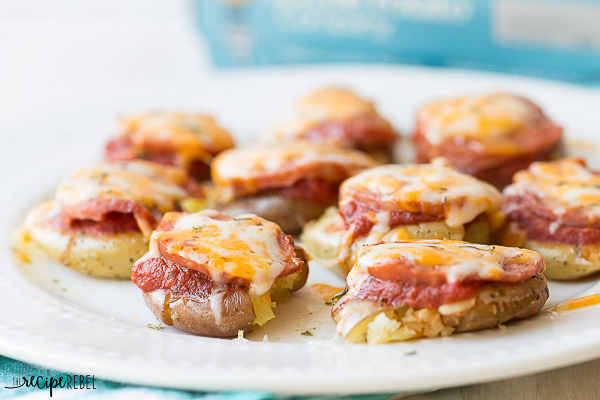 Make the night before by microwaving Little Potatoes, smash them to flatten into your mini-pizza canvases, top with desired toppings, and cover in the refrigerator over night. You can also top with some Italian herbs to taste, like dried parsley, basil and oregano. Then before serving, roast in the oven until the cheese is gooey and bubbling. If you have a multi-generation group, this spunky recipe is your top choice!